A small roof leak can cause great headache and be quite costly if not fix promptly. Finding where the leak is can be hard and you might need to find a reliable roofer that will get it right the first time. Minor leaks can cause major damage. Listen to a 60 seconds home improvement radio tip and avoid roofers that give you a list of bullet points with important details missing. Ensure that you know exactly what materials the contractor plans to use. Second-rate supplies maybe cheaper, but at the end you might need additional repair that will cost you a lot of money. Take a closer look at the estimates you’ve already received. How comprehensive are they? A careful review takes time, but it can save you thousands of dollars—and loads of grief. Different issues maybe causing sewer smells in your bathroom, the fix will probably be easy for you to tackle on your own. In some cases, the smell of sewage is caused by the accumulation of waste in the siphon, that device in basins which is in the output flow of sewage pipes. Prolonged exposure to sewer gases can cause nausea, dizziness, and even poisoning or the buildup can trigger an explosion. Make sure the models of siphons of your property are articulated. Ideally, the siphon has a water closure, as this system creates an accumulation of water in and prevents the return of odors. Check if the trap is perfectly set in the pipe and there are no leaks, also check that the sealing rings are dry, the recommendation clean monthly. If the vent pipes are involved, tracking down the source of the odor and remedying the problem is a job best left to a professional. The chromium contained in stainless steel, which gives the object a natural resistance to corrosion, including oxidation. When the material is not resistant to corrosion and is on the steel surface, rust may occur. Even if not corrode this material, rust can cause stains that take the shine of stainless parts. 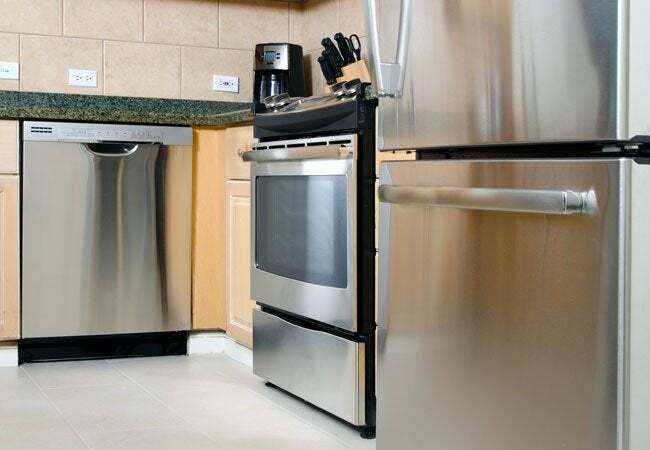 Learn how to remove stains and naturally beautify stainless steel surfaces while protecting the environment. Owning a house is every persons dream. This is one of the reasons why people wake up each day and work their tails off the rest of it. “Building your own house is a primal urge, one of those universal genetic drives like the need to provide for your family.” -Kevin McCloud. Today, millions of families have decided that it is better to build their houses from scratch. Building the house of your dream has the potential to be easier than ever, particularly with so many developers offering a predefined set of floor plans and options. Building your own home gives you the flexibility to have things just the way you would like. Plan ahead and execute thoroughly to avoid wasting your time, labor and skill. Building a house from scratch can be dependent on your own skill level. Then it can be exhausting or satisfying or a little bit of both. Research ahead. Learn from the experience of others. You must honestly assess your skill level if you are to be successful. Some things can be learned on the fly while others cannot. It’s also been a great cure for perfectionism. It’s impossible to hit every nail squarely, and it’s okay. It’s impossible to get every decision right, let alone control the decisions of inspectors and electricians and vendors, and it’s okay. It’s definitely not for everyone. There are a TON of aspects to building a house that are really not much fun at all, and that range from the simple pain of installing itchy insulation in the sticky summer heat to the equally painful task of navigating senseless bureaucracies.